Refinance an existing VA loan quickly through a very short application process. Look for better terms and a lower VA mortgage rate on your refinance. The VA Streamline Refinance also know as the VA IRRRL, cuts out most of the underwriting normally associated with a VA refinance, making this a much faster and more convenient option if your goal is to reduce your interest rate, monthly payment, or loan term. The VA Streamline Refinance loan (officially called the Interest Rate Reduction Refinancing Loan, or IRRRL) is the simplest and most popular VA refinance loan option. Though it does not offer a cash-out option or debt consolidation, the VA streamline allows veterans that already have VA loans to refinance in a quick and easy way, with lower interest rates and better terms than they currently have. The primary attraction of the streamline refinance option is that a streamline refinance can take most of the underwriting from the existing loan. Here at Low VA Rates we specialize in these loans and feel we are an experienced and efficient VA streamline refinance lender. The streamline VA refinance results in a lower interest rate; the new loan has a lower interest rate than the old one. The VA will not allow a refinance that results in a higher interest rate. The only exception to the above is if the veteran is refinancing a VA Hybrid ARM loan to a fixed rate loan. When this is the situation, it is perfectly acceptable for the fixed interest rate to be higher than the current rate on the Hybrid ARM. There are other, more general requirements for an IRRRL, that are not specific enough to go into detail here, but they include things such as net benefit to borrower, value of the home, FICO scores, etc. To summarize the above, an IRRRL cannot take place unless the borrower is noticeably benefitted by the refinance. This stipulation is a very important part of the VA loan program and is something that those of us at Accredited Mortgage Services are passionate about. We focus on the true intent of the VA streamline program and nothing matters to the VA except whether the veteran is getting true benefit out of the refinance. Because of this, you can rest assured that if you qualify for a streamline refinance, it will bring you a significant amount of benefit. If you’ve purchased your home with a VA loan, you’ll likely remember how many hoops you had to jump through to do so, and probably are not very eager to do it again. The streamline refinance option is so named because it exists to make the refinancing process as quick and painless as possible. It’s not unusual for an experienced VA lender to be able to get the refinance done from start to finish in under a month. A streamline refinance offers far fewer headaches and issues to be dealt with than a typical refinance. In addition, the VA Funding Fee and all of the VA closing costs on a streamline refinance are greatly reduced. So, if you are a veteran home owner, apply now for a VA Streamline Refinance and see if you can get a lower interest rate and better terms on your mortgage. Many veterans have saved more than $100 per month just by refinancing, and some upwards of $300 per month. Many who save on their monthly payment also end up being able to pay their home off faster and save lots of money. 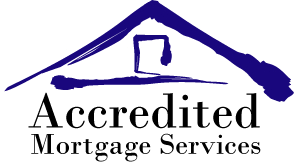 **Accredited Mortgage Services is not affiliated with or acting on behalf of or at the direction of FHA, VA, USDA or the Federal Government.